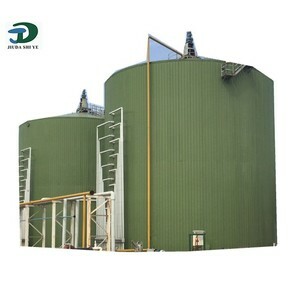 bio digester power plants has large furnace volume and combustion space to make sure that the fuel has enough burning time. 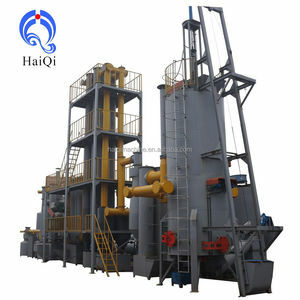 At the same time, there is secondary air in certain height to make sure the biomass fuel burn effectively with sufficient air in furnace. As the cooperative partner of World Bank,our products have exported to Southeast Asia, Africa, Middle East and other countries. 3100 kg fresh cow manure or 3). 1400 kg fresh chicken manure or 4). 1700 kg fresh human manure or 5). CHP system Gas generator set fully exchanged the heat of exhaust gas and high temperature circulating water of the engine through gas heat recovery system and plate heat exchanger in order to achieve the purpose of energy-utilized. The recovery medium hot water can be used for house, warm and biogas reaction pool winter heating preservation. Both of two heat recovery system efficiency occupies about 42%-44% gas energy utilization, attaching the 35%-36% generating electricity efficiency, which can make the entire generator operational efficiency reach 80%. New Condition 35 ton-280 ton thermal power plant bio mass power plant Advantages: 1. high combustion efficiency, energy saving evidently. Also reduce the waste of energy and the particulate emissions, have great social benefit. 2. energy saving circulating fluidized bed boiler has wide output adjustment range and fast regulation speed. By using a steel mould, a bio digester power plants can be built within two days, or build 150 sets in a year. 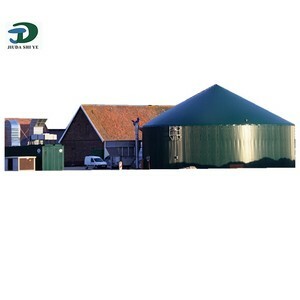 The glass-fiber reinforced plastic gas-holder is in 1.0 m3 size that is one of the main components of the bio digester power plants, and it can last over 10 years. G as-holder 1m&sup3; It is one of the main components of the bio digester power plants, and is composed of a container made with glass fibre reinforced plastic and three steel supports. The smart control system can conduct real-time detections on the operation of the engine, including fire detection and status detection. Ronsun Power has more than 10 year's experience in manufacturing the biomass gas generator set. Engineers that help clients to finish the installation and commissioning on site and train repair oprator for our custumers. 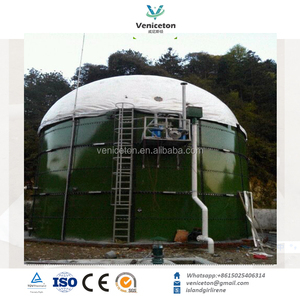 The recovery medium hot water can be used for house, warm and biogas reaction pool winter heating preservation. 2.What's your delivery time9 Re: 7-25 work days after we get the down payment, if your order is some special engine and alternator, then the delivery time is longer. 7.Do you have single phase or three phase diesel generators9 Re: Sure, we have single phase and three phase diesel generators. Alibaba.com offers 717 bio power plant products. About 41% of these are gas turbine generators, 2% are electricity generation, and 2% are boilers. A wide variety of bio power plant options are available to you, such as free samples, paid samples. There are 703 bio power plant suppliers, mainly located in Asia. The top supplying countries are China (Mainland), India, and Sri Lanka, which supply 96%, 1%, and 1% of bio power plant respectively. 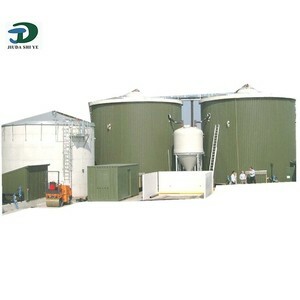 Bio power plant products are most popular in South Asia, Western Europe, and Northern Europe. You can ensure product safety by selecting from certified suppliers, including 371 with ISO9001, 281 with ISO14001, and 61 with Other certification.